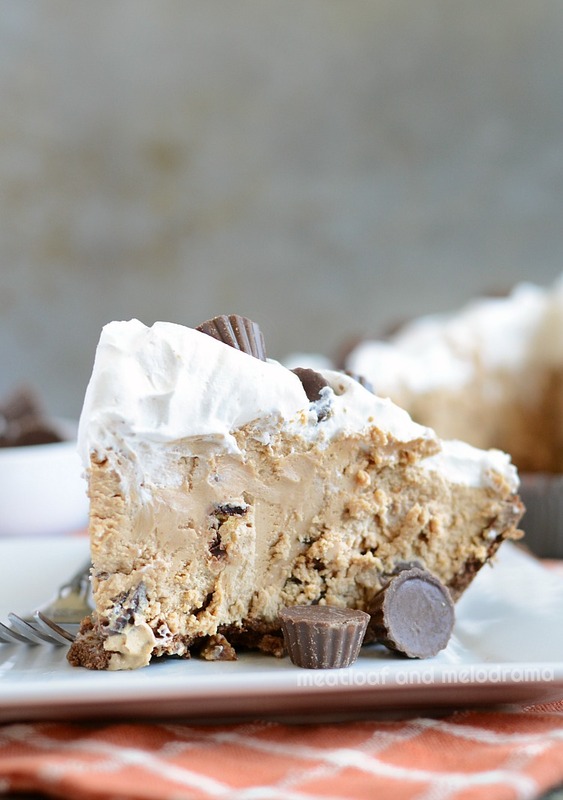 This No Bake Chocolate Peanut Butter Pie is an easy dessert that’s cool, creamy and perfect for summer. 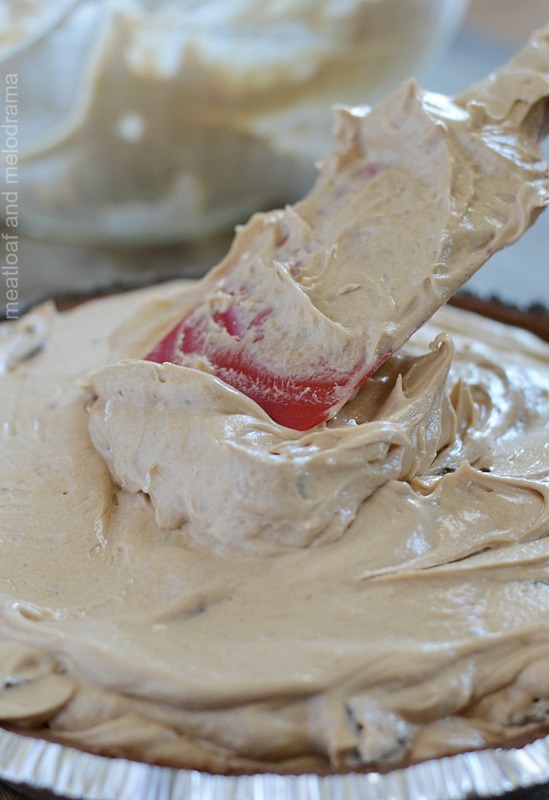 Peanut butter lovers will love this no bake dessert! 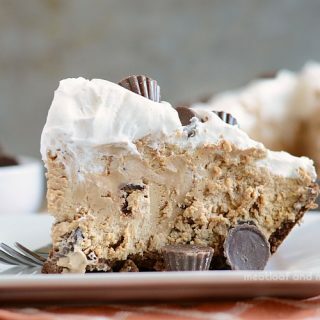 This easy no-bake pie is one of my peanut butter-loving daughter’s creations. We actually made this chocolate peanut butter pie a couple of years ago, but since it’s unimaginably hot here in the Valley of the Sun, we decided to make it again. So, the original post got a makeover, complete with new pictures! 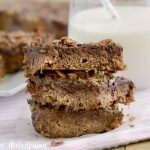 You guys, If you like the classic combo of chocolate and peanut butter, you’ll absolutely love this decadent no bake dessert! I can just about guarantee it! 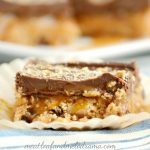 It really is a peanut butter-lover’s dream dessert, but honestly, even my non peanut-butter lovers will eat this right up! And even when it’s too hot to use the oven, you can still enjoy a slice of pie after dinner or breakfast or lunch, or whenever you want. No judging here! That’s the best thing about no-bake desserts! 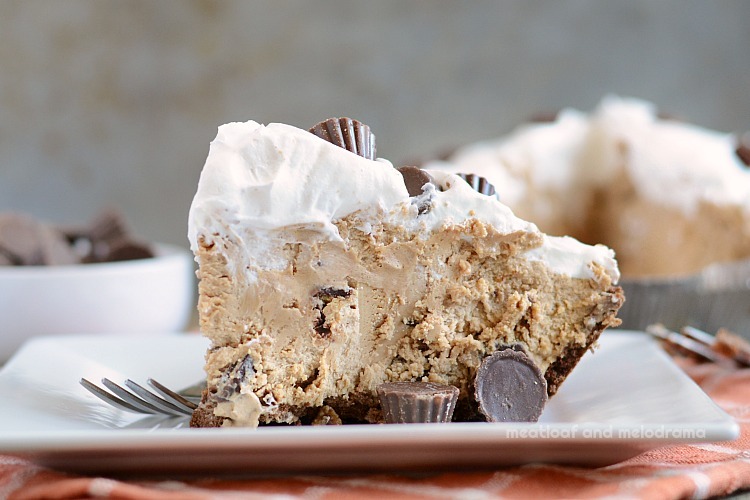 Like I said, this peanut butter pie recipe is incredibly easy. Basically, you’re just doing a lot of mixing. 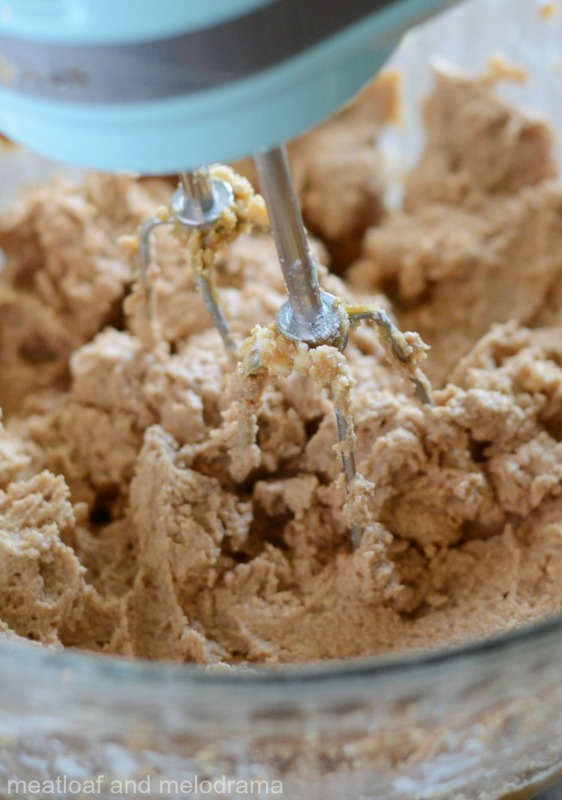 You start out by beating cream cheese and peanut butter together with a hand mixer until the mixture is nice and smooth. Then, you gradually add some powdered sugar and cocoa powder. You don’t want to dump everything in at once –otherwise, you’ll get a big powdered sugar mess. And you don’t want that! This recipe calls for a tiny bit of cinnamon. I love cinnamon, but if you don’t, you can easily leave it out. When the mixture is nice and smooth, fold in a container of whipped topping and some chopped mini peanut butter cups. Feel free to grab a taste or two as you go! Pour the peanut butter mixture into your graham cracker pie crust, and let the pie hang out in the fridge until it’s firm enough to cut. If you want to speed things up, or you want an extra firm filling, you can freeze it, instead. Just remember to let the pie thaw out before you try to cut it! We like to top this no-bake chocolate peanut butter pie with a layer of fluffy whipped topping or whipped cream. And for the finishing touch, you have to add more mini peanut butter cups! 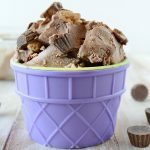 Looking for more no bake chocolate peanut butter desserts? 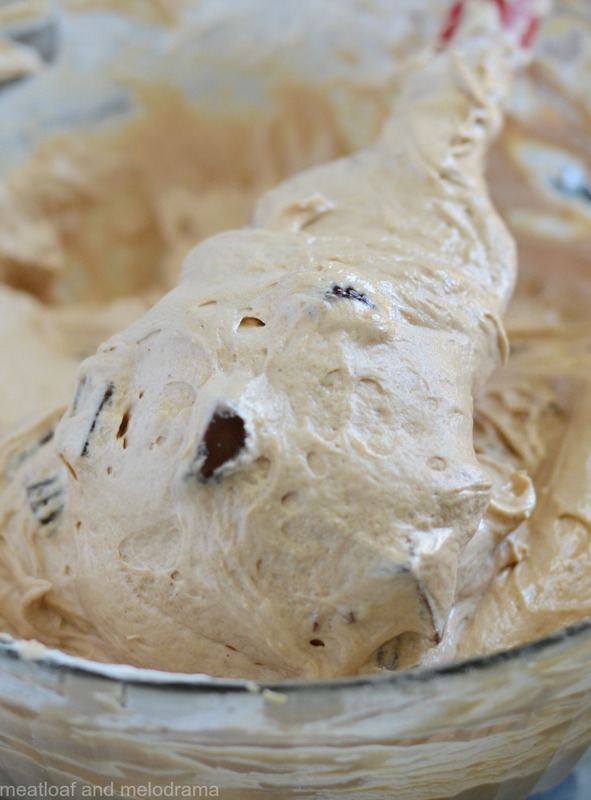 In a large mixing bowl, cream the peanut butter and cream cheese together with a hand mixer until smooth. Gradually add the powdered sugar, cocoa powder and cinnamon, and beat until creamy. 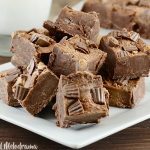 Fold in the whipped topping and the peanut butter candy halves. Pour into pie crust, and top with additional whipped topping or whipped cream. The kids gobbled this no-bake chocolate peanut butter pie up right away, and they gave it a huge thumbs up. I hope you enjoy it as much as we do! Wow. You are on a chocolate and peanut butter kick this week…I approve. This looks great. This is a fantastic pie that I would love to have a slice of right now. Hope you are having a great week and thanks so much for sharing with Full Plate Thursday. No bake is the best when its hot outside! Funny, we only had a few hot spells here this summer, but most of them seem to be now! So this is perfect timing! Pinning and sharing! I love your flavors and I love that no baking is required! It’s like you made this just for me! I happen to have all of these ingredients on hand! I know what I am going to be doing. 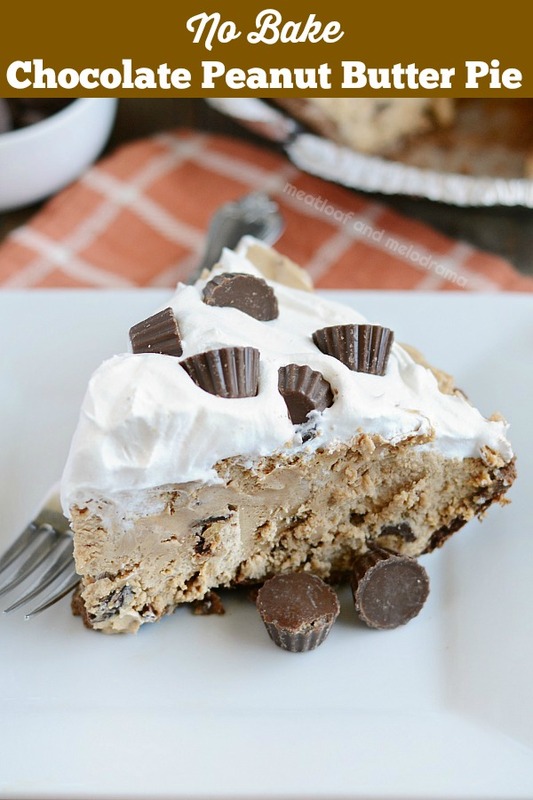 I am craving a slice of this pie right now! It looks amazing! I am ready to dig in! Looks SO delish!